No, Twitter isn’t ‘shadow banning’ conservative voices. Here’s what’s really going on. 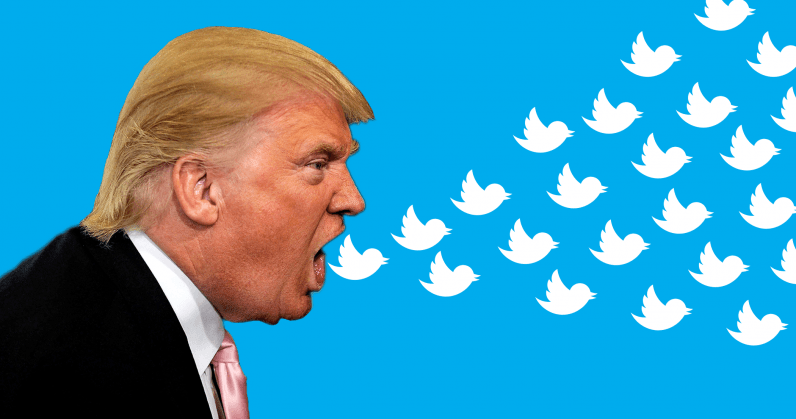 President Trump today took to Twitter to do what he does best: Make false, inflammatory statements as loudly as possible. Trump, though, only deserves part of the blame on this one. The hubbub started last night when Alex Thompson framed a story perhaps as poorly as any journalist could possibly frame a story. Thompson, the politics editor at Vice News stated, falsely, that Twitter was shadow banning prominent conservative voices. Mentioned specifically were a Donald Trump Jr. spokesman and Republican National Committee chair Ronna Romney McDaniel. In Thompson’s assessment, Republicans were being silenced by Twitter after several prominent figureheads no longer appeared in the auto-populated dropdown of the search feature. There are a multitude of false assertions in the piece, but let’s start with shadow banning. For the uninitiated, a shadow ban is when a platform decides to secretly ban a user while allowing them to continue posting to an audience who will never see it. Often, the only people who can see these posts are the user(s) that posted them. Twitter has an issue with its search feature, this much it admitted. But even the users mentioned in the Vice News piece were getting likes, comments, and retweets for every post. Simply put, this most definitely was not a shadow ban. Nobody’s voice was being silenced. Thompson did discover the search issue, perhaps the only morsel of truth in an otherwise disastrous piece. Twitter admitted the issue, although stated vehemently that it did not segment users based on political leaning. Others have pointed out that it affected liberals, as well. You can choose not to believe the company, and many will, but ask yourself: What reason does it have to shadow ban conservatives? Conservatives moving their conversations to Twitter are arguably the single greatest growth tool in the platform’s recent history. Trump, essentially, is the goose that laid the golden egg. Dorsey, by all accounts, is a smart man. You wouldn’t expect smart men to shoot themselves in the foot, even if you handed them a gun and the bullets. The act of silencing either party, liberal or conservative, would be akin to an admission in front of shareholders that he hated money and loved bad press. Twitter itself later clarified the issue, stating it was a problem derived from recent changes designed to drive “healthy conversation” on the platform. It reiterated that these changes didn’t single out conservatives, and affected all users equally, according to head of product, Kayvon Bekypour. “Our behavioral ranking doesn’t make judgements based on political views or the substance of tweets,” he told Buzzfeed News. Multiple Twitter users also took Thompson to task, like Huffington Post reporter Ashley Feinberg who posted multiple images of the issue affecting prominent liberals as well. Mike Isaac, of the New York Times took issue with the framing of the story as one that silenced only conservatives. But none of this matters. Thompson’s piece, whether he likes it or not, has now become a weapon in the Republican war on truth. It’s a bullet that will undoubtedly be loaded, with bad intent, and fired at others in an attempt to silence dissenting voices and unfavorable news stories. It’s the “I told you so” moment in the fake news debacle that will vindicate those parroting false statements in hopes one day they’ll be proven true. And for Thompson, that’s just something he’s going to have to live with.